Prabhas Throws Party For Rolls Royce Car? 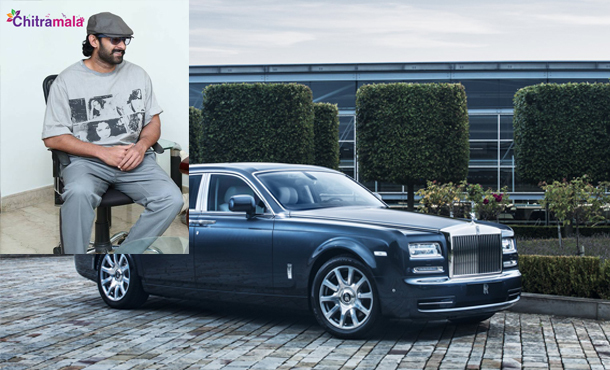 Buzz is that Prabhas has recently owned a swanky and elegant Rolls Royce Phantom car by spending huge 8 crores. The car comes with all the hi-tech amenities, which made Prabhas one of the very few celebrities to own Rolls Royce Phantom. It is heard that Prabhas threw a lavish party to his close friends from industry to celebrate this happiness. The party was organized at his farmhouse located on the outskirts of Hyderabad. With the historic success of Baahubali, Prabhas has now become a national icon and his fame and brand value rose by leaps and bounds. He also signed his first ever band endorsement with Mahindra XUV 500. The actor is currently busy with the shooting of Baahubali 2. The film is expected to hit the big screens in 2017.